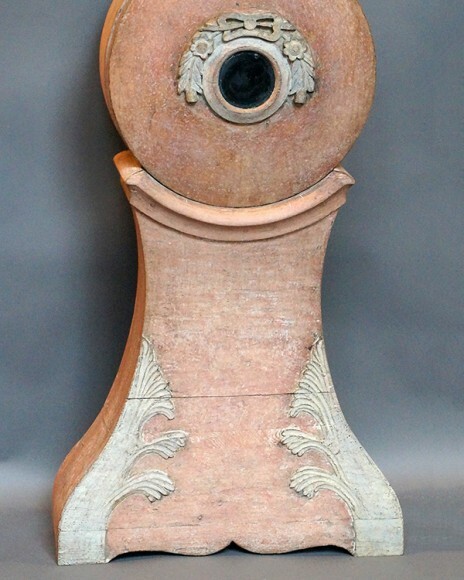 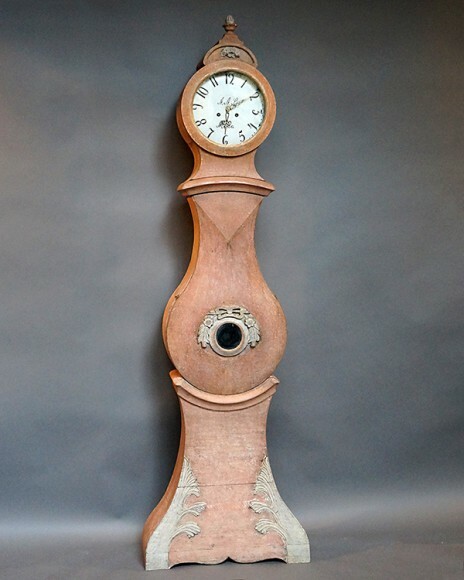 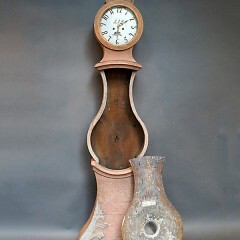 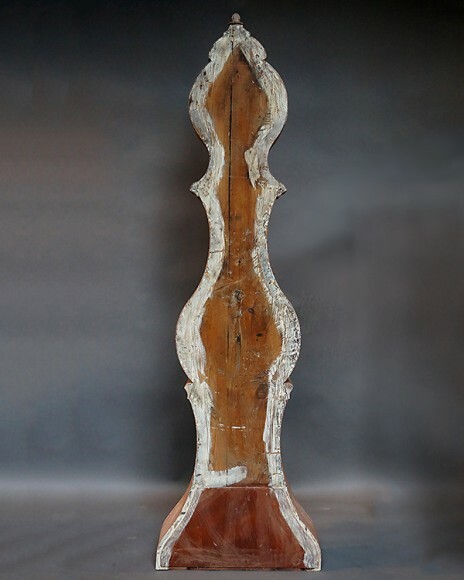 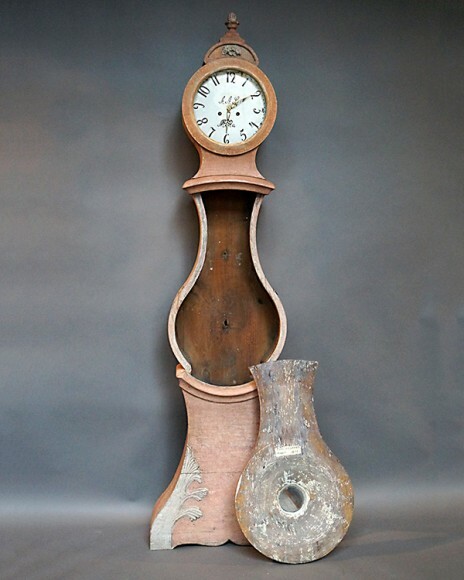 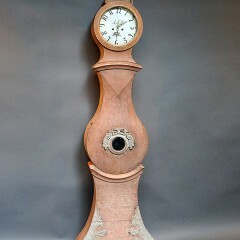 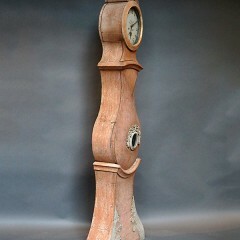 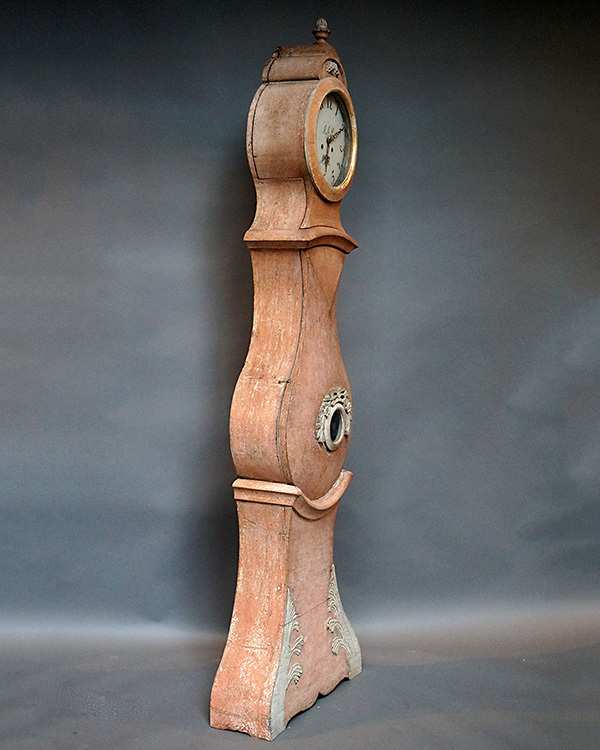 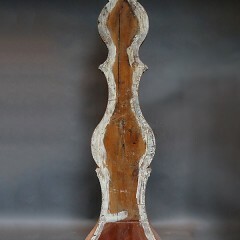 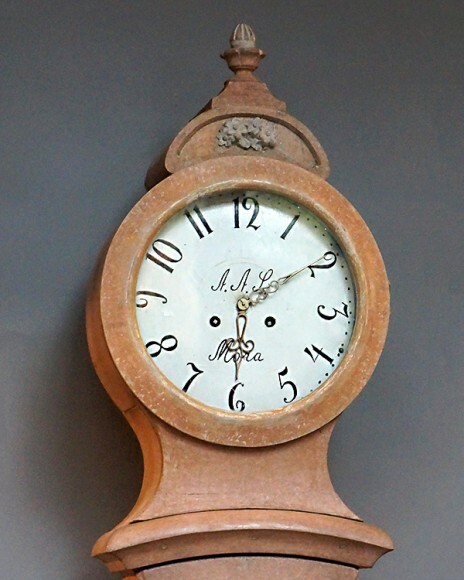 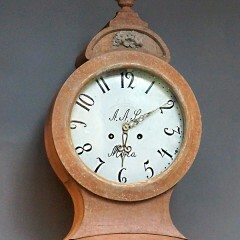 Signed Mora clock, Sweden circa 1820, in original salmon paint and with its original clock works. 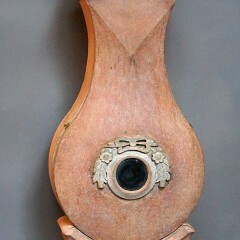 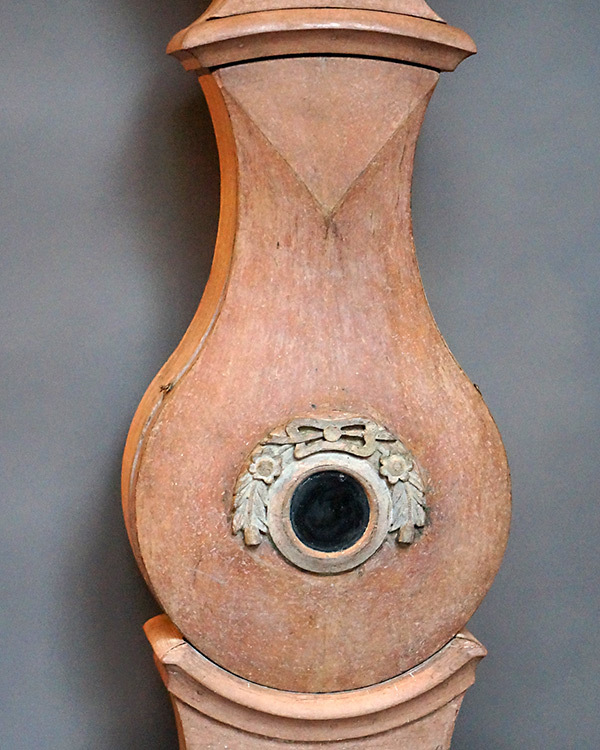 The case features an interesting shaped front with applied floral and foliate carving, while the bonnet has a nosegay of flowers and a carved urn with flame. 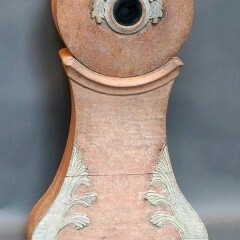 A beautiful example.